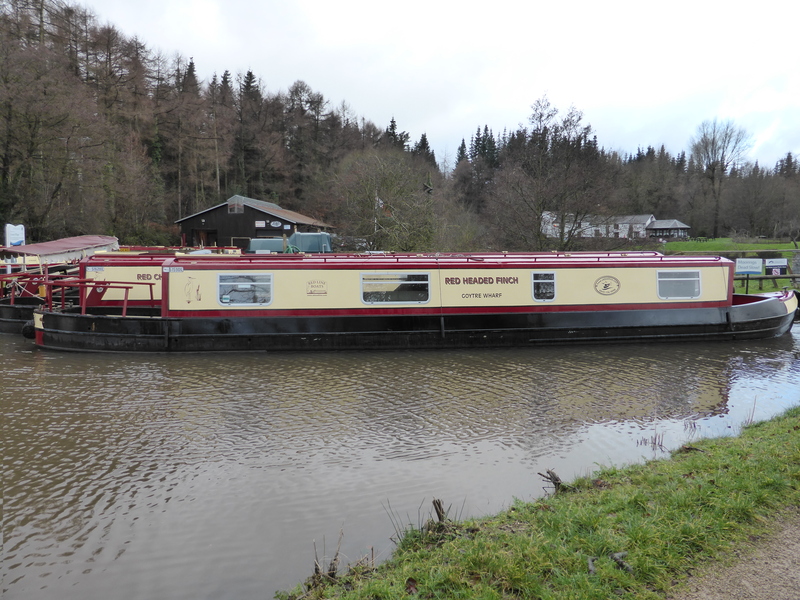 Design : The Red Line Finch is a 47ft long, 5 berth cruiser stern narrowboat. It has a quiet water-cooled diesel engine with simple to use controls. 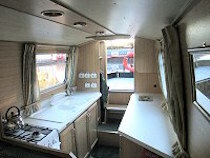 Features : There is full radiator central heating on the boat. A 200 gallon water tank supplies the hot and cold running water. There is a double-filtered drinking water system. The saloon and bedrooms have carpeting.you do so at your own risk.) Carpeting in saloon and bedroom. 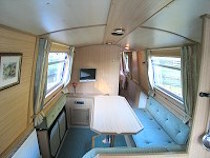 Berths : Two low level singles or double in forward cabin. 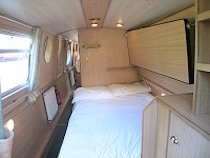 (One optional high level single in forward cabin -over a single bed cannot be used over the double ) optional dinette double in saloon. Bathroom : The bathroom comes complete with a wash hand basin, electronically operated flush toilet, and a hip bath/shower. A 240v shaver socket is also available.